Hello, lovelies! It's been raining since last week and I think the rain would continue until next week. Although I am happy with the cold weather we are experiencing now but most of the time I hate it. 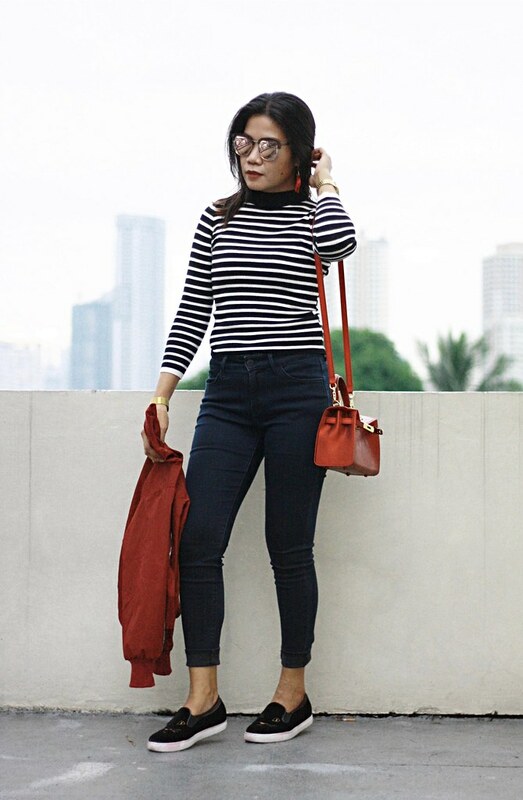 Then, I think of these cold weather outfits and I would suddenly embrace the current weather. Haha! 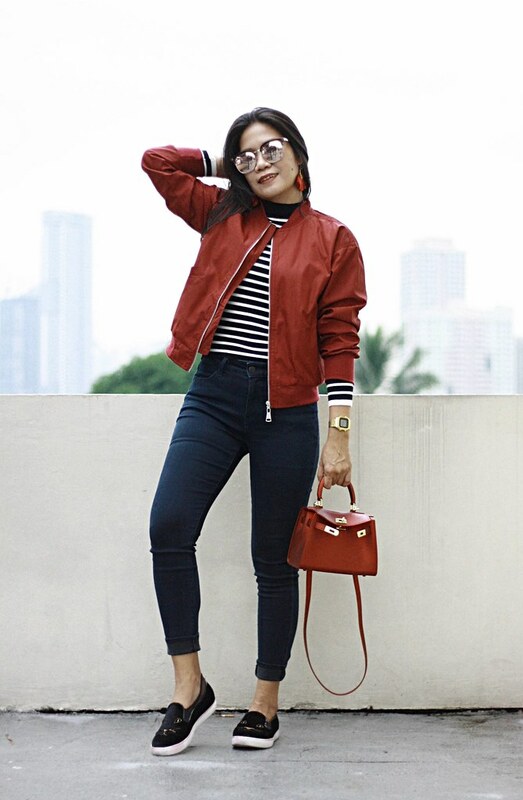 I love wearing jackets and coats because it easily makes your looks chic. Right? 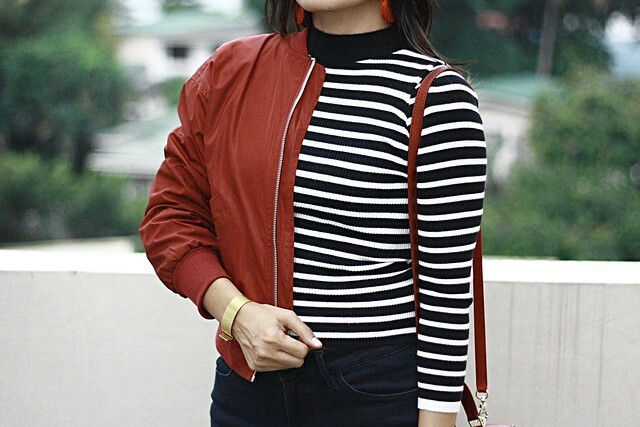 Today's post is about this red bomber jacket and long sleeve striped shirt from Fashion71.net. 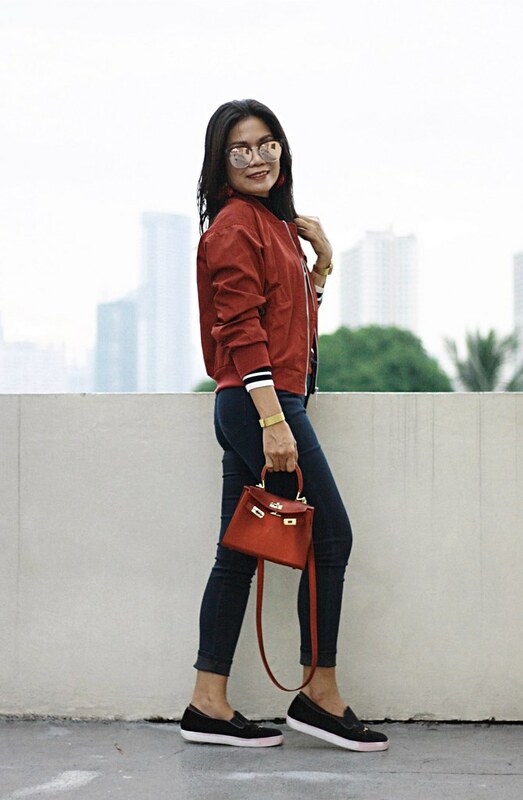 Just click the link below or click the photo above to see more photos and outfit details. 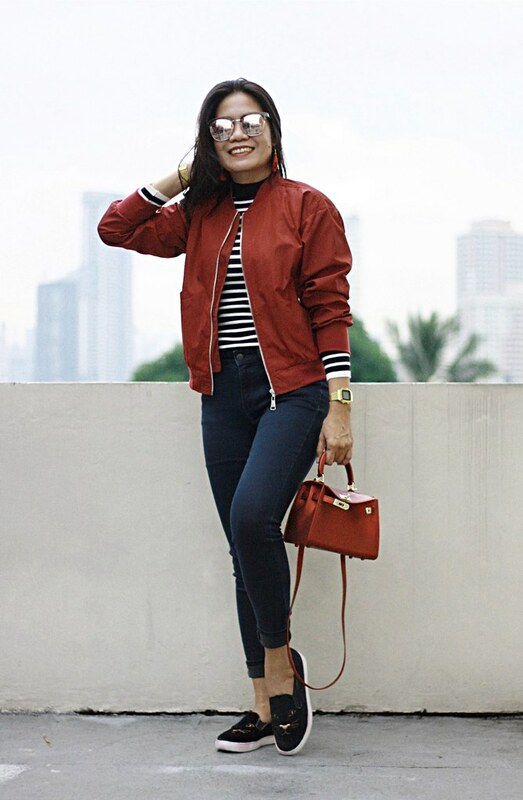 The moment I saw this red cool bomber jacket, I know I should own one. And here it is, I'm wearing one now. I do not have regrets ordering this jacket. 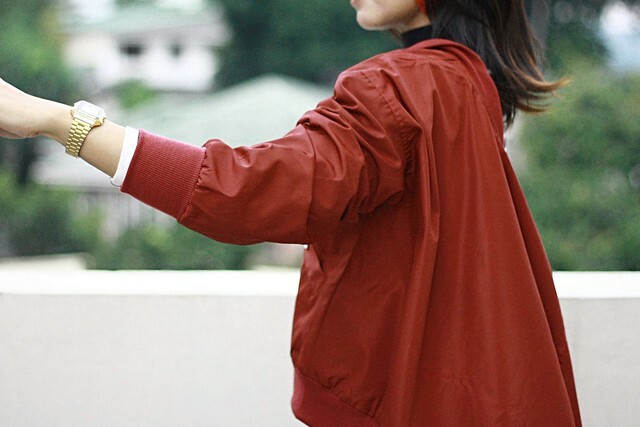 It is simple yet very attractive jacket because of its color. 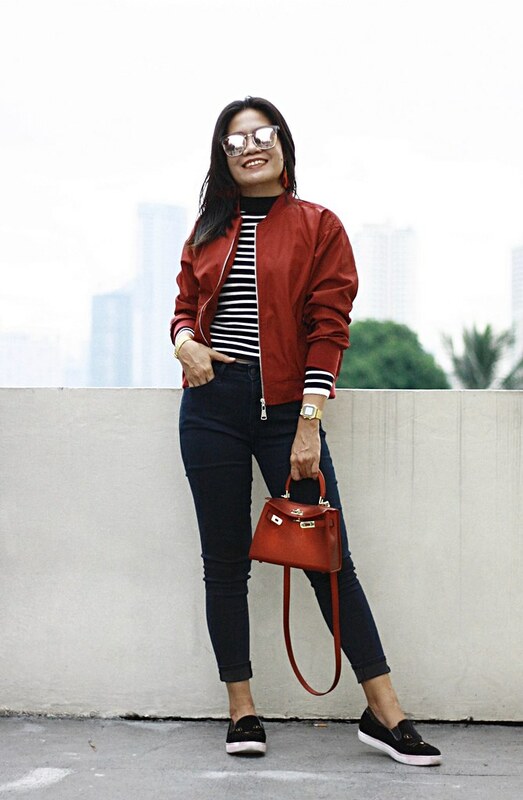 I love this jacket because it’s plain, thus, it’s perfect to pair with any printed shirt underneath. I am usually Medium size but I ordered size Large because when it comes to jacket and coats, I always see to it that I can move freely and I can raise my arms without difficulty. It has a lining, by the way. The quality is good and your money will get the worth of it. 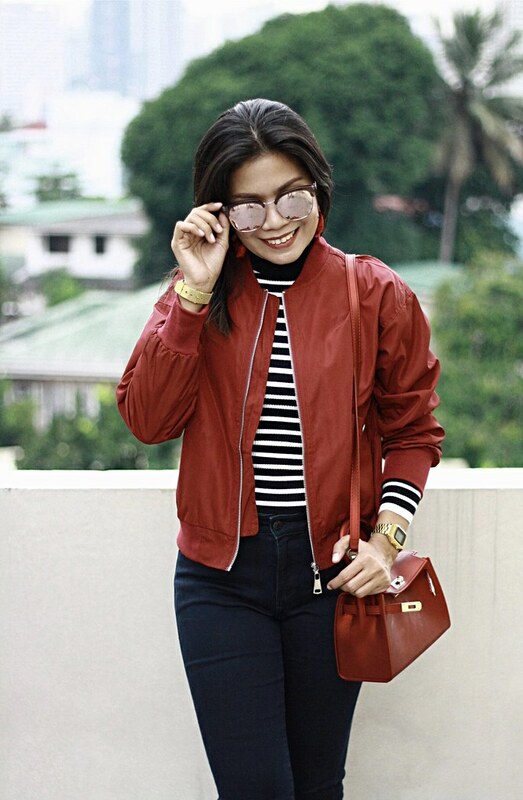 Check out more outerwear here. 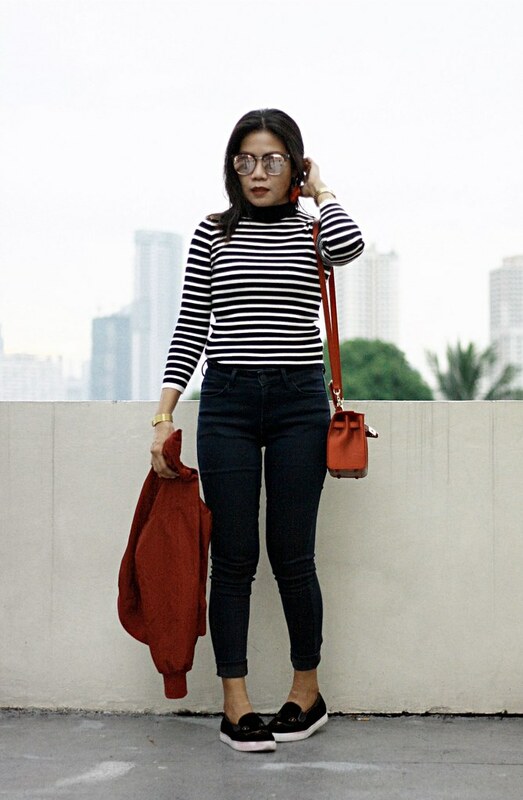 This long sleeve striped shirt is perfect to keep you warm. This one comes in one-size but it just fits fine on me even though I'm Medium. It is very stretchable and it doesn't snug my body tightly. The length of this shirt is just right below my navel; just the way I like it. 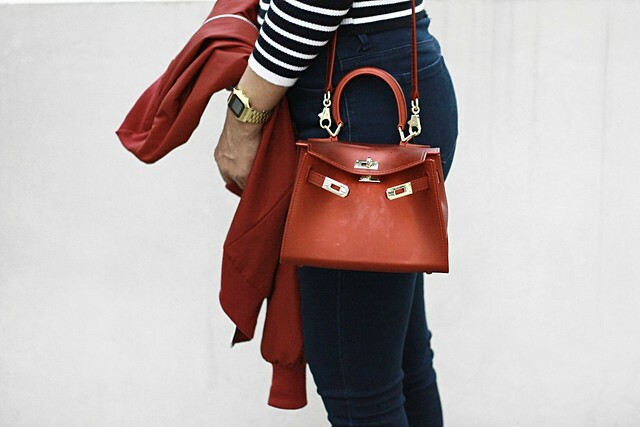 I am surprised with the quality because this one is made of good material for a very affordable price.